Toshiba said it is considering splitting off its memory business into a separate company but added that nothing had been finalized at this point. The Japanese company said Wednesday that it positions its memory unit as a focus business. The announcement by Toshiba follows news reports that the company was planning to split its semiconductor business. The company is considering selling a “partial stake” in its semiconductor business to Western Digital in the U.S., to raise funds for an impairment loss in its U.S. nuclear plant unit, reported Nikkei Asian Review. The company may sell about 20 percent stake in the memory business for up to $2.65 billion, and may consider listing it, according to the newspaper. 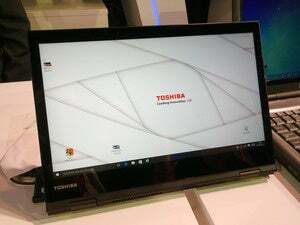 Toshiba, which is still recovering from an accounting scandal, is focused on nonvolatile memory like 3D flash memory, having first entered the flash memory market in 1984. It also makes wireless memory cards and USB flash drives. Western Digital acquired last year SanDisk, which has been a long-term partner of Toshiba, with the two companies partnering in the fabrication of nonvolatile memories. The joint venture has provided SanDisk with stable NAND supply in volume and extends across memory technologies such as 3D NAND. Western Digital said in 2015 that the acquisition of SanDisk would let it vertically integrate into NAND, and ensure long-term access to solid state technology at lower cost. Similar considerations may also be driving Western Digital’s reported interest in Toshiba’s memory business.